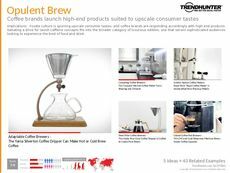 Find Better Ideas, Faster ® with a custom coffee pod trend report, our PRO Dashboard and 80+ categories of premium trend reports. 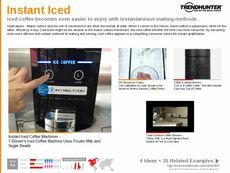 In the Coffee Pod Trend Report, we use our crowd-sourced research formula to determine which coffee pod products, technologies and marketing strategies are most popular with consumers. 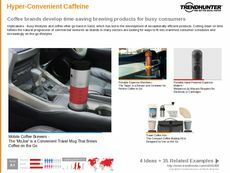 The need for convenience has prompted purchases of coffee pod equipment such as Keurig machines. 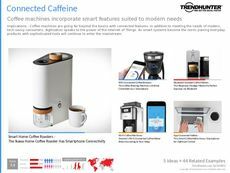 At the same time, increasing consumer preference for gourmet coffees and exotic flavor profiles has led to a demand for branded pods from coffee makers such as Starbucks. 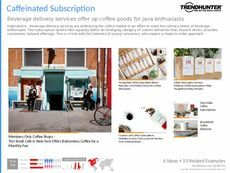 The Coffee Pod Trend Report is an essential collection of information for designers, marketers and retailers of coffee pods and coffee pod technology. 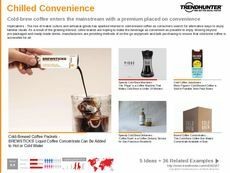 Insights on how to best market coffee pods as well as an examination of consumer habits surrounding coffee pod consumption are included. 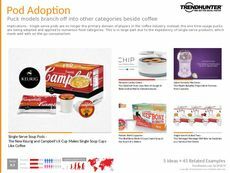 The Coffee Pod Trend Report uncovers consumer preference for coffee pod technology, coffee pods themselves and the marketing and branding that surrounds these products.